The newest Jo Malone fragrance more than lives up to the first half of its name. Peony and Blush Suede opens with a bright apple note that is almost immediately trampled by sweet, creamy, gloriously girly peonies. Peony dominates the fragrance for the rest of its lifespan, which is extraordinarily long for a Jo Malone scent (I got a good eight hours of wear, as opposed to the literal 20 minutes that I get from Jo Malone Black Vetyver Cafe). 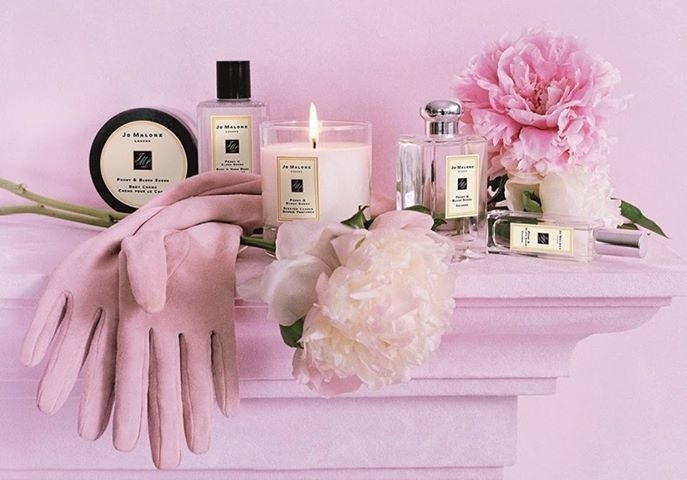 Peony and Blush Suede’s relative thickness is also an interesting textural departure from the usual transparent style that we’ve come to expect from Jo Malone. I have only one problem with Peony and Blush Suede, but it’s a big one: where’s the suede?? You can’t just put the word “suede” into the name of a perfume that doesn’t have even a hint of leather! A leather note cutting the sweetness of Peony and Blush Suede would probably have made this fragrance more to my tastes, but I’m sure that peony lovers and sweet floral fans will appreciate it just the way it is. I wonder if I could coax any of the suede out if I tested it… hm… that is somewhat disappointing, though! Please let me know if you have a different experience, fleursdumol! hm. sounds maybe up my alley. big letdown on the suede though. I was kinda hoping for Jo Malone does Cuir de Lancome or Kelly Caleche. 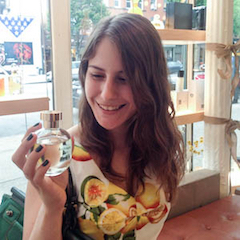 I think that Kelly Caleche is as close as we’re going to get to Jo Malone Does A Leather-Rose for at least several years. Jo Malone has been KILLING it with their ads recently- both the Blackberry & Bay and Sugar & Spice ads were outstanding visually. Peony can definitely be beautiful, but no one could accuse it of being interesting. Suede was definitely the most potentially interesting part of this equation! You know this sounds similar to Miss Boucheron, a reportedly rosey-suede fragrance but I could only detect the rose (and the de rigeur pink pepper, of course). I’ve never tried Miss Boucheron! Always see it at discount stores, but have never worked up the courage to blind-buy. Would you recommend it, Fumehead? I was so disappointed by this one that I almost wrote a negative review but then decided not to bother. On me it’s boring not distinctive floral meh that has nothing to do with either peonies or suede. And I am actually a Jo Malone fan! I was so curious about what you would think of this one, since you’re the first person I think of when I hear “Jo Malone”. I’m sorry to hear you didn’t care for it! It’s OK, I can’t keep buying all Jo Malone perfumes 😉 But I absolutely loved Blackberry & Bay. I’ll write about it soon and you should come over my blog to see the cutest ever pictures of Rusty with the bottle. I actually wanted to test this (not a normal reaction for me with JM) once I heard that Christine Nagel made it. Thanks for the report!